Tea has been an important part of Japanese culture for centuries. 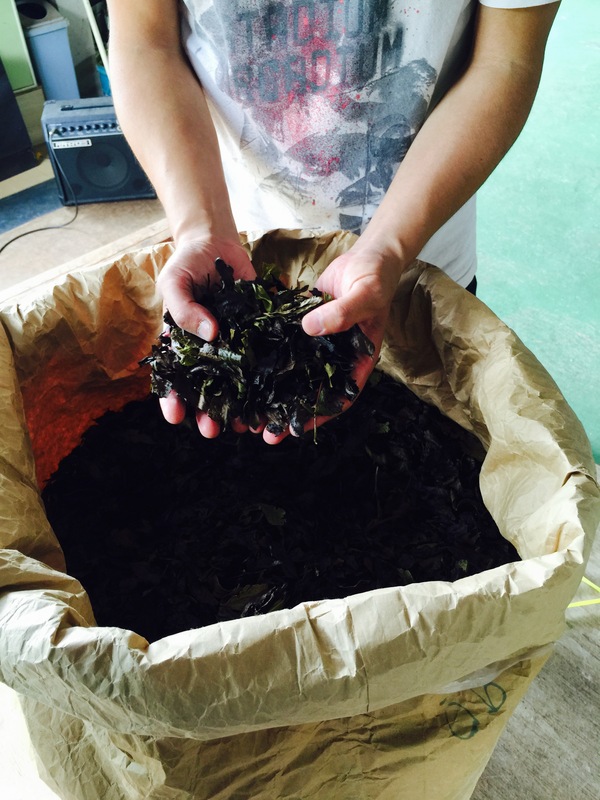 There are many types of tea, though green tea is probably the most widely known. 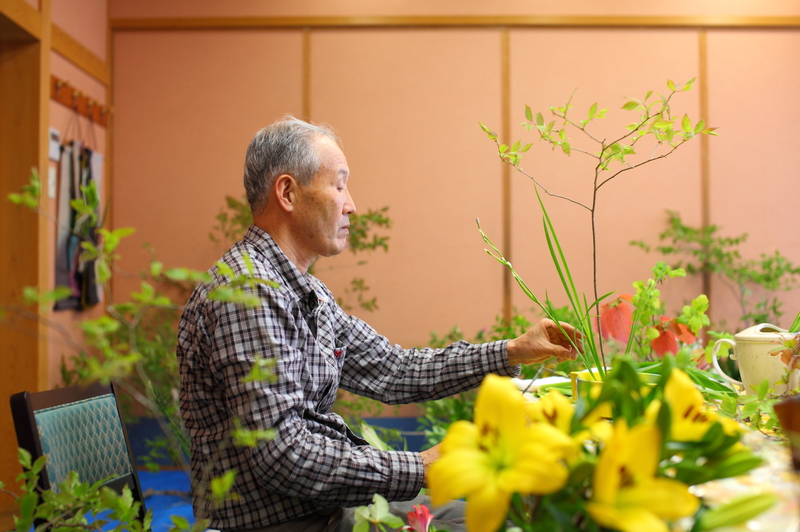 Visitors to Yunogo who wish to know more about tea and how it is produced may be able to pay a visit to Shimoyama’s Green Tea, and meet proprietor Shimoyama Keijiro for tea and conversation. 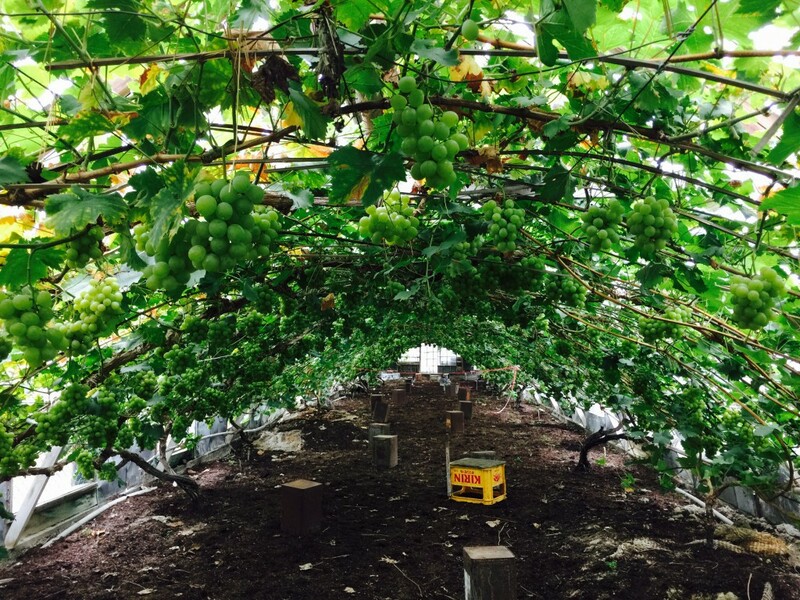 Blueberries are not the only fruit; in Okayama Prefecture (famous for its fruit – in particular peaches and grapes), it is also possible to go grape picking when grapes are in season. Grape season begins around the end of August/the beginning of September, depending on the variety of grape. For example, purple pione grapes, possibly the most famous of Japanese grapes, are in season around the end of August, whereas green Muscat grapes come around mid September. Yunogo Onsen Town is, as its name suggest, famous for its onsen. It is said to have been discovered when a Buddhist high priest named En-nin-houshi discovered an injured heron bathing its wounded leg in the waters of a hot spring in Yunogo about 1200 years ago. Since then, many people have been coming to Yunogo Onsen to reap the benefits of soaking in its onsen waters, which are said to have healing effects on those suffering from chronic digestive disorders, nerve pain, rheumatism, arthralgia, chronic feminine problems, and skin problems. At Kifu no Sato, there are five rooms and a suite that have a private open air bath attached to them. Guests staying in all other rooms have free access to Kifu no Sato’s large public baths, where men and women bathe separately. If you would prefer more privacy, or would like to soak in the onsen together with your partner, it is possible to book a session in one of Kifu no Sato’s private open air baths. Made of carefully selected Japanese granite, the private open air baths at Kifu no Sato offer guests the chance to relax with loved ones in an intimate and serene setting. One will be able to enjoy the fresh air whilst unwinding in the healing waters. In the day, one has a clear view of the azure skies, but the view of the stars in the evening is also romantic and unforgettable. 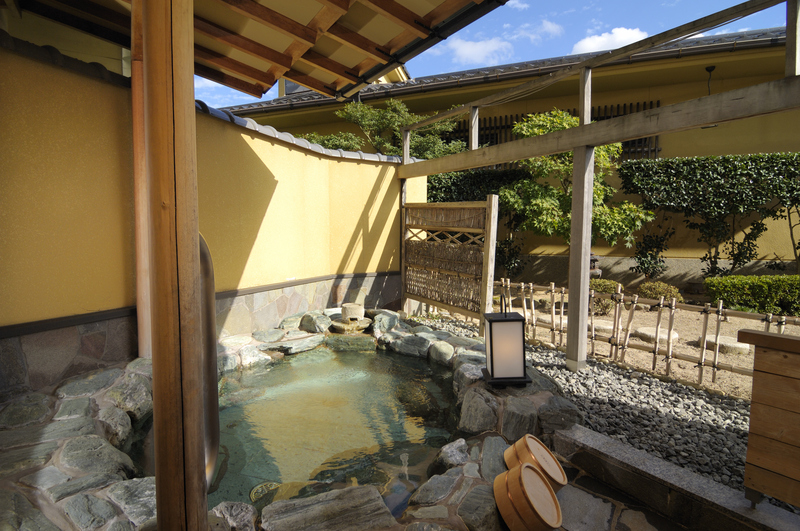 Booking a private open air bath costs ￥2700 for 45 minutes. If you would like more information please do not hesitate to contact Kifu no Sato. 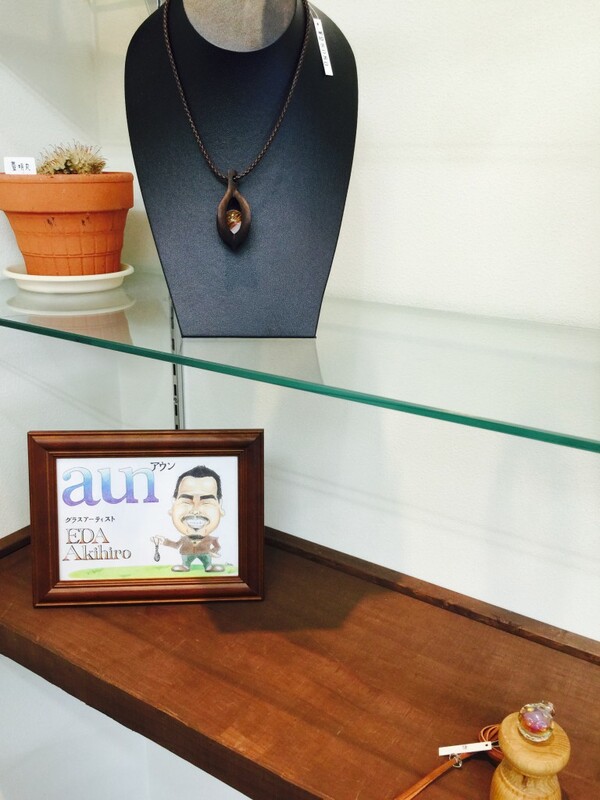 aun is a modest shop in Yunogo that sells mostly jewellery and other accessories made of glass. All of the goods in the shop are skilfully hand crafted in-house by artisan Eda Akihiro. For a sum, Eda-san will demonstrate how to make a glass pendant, and then guide you as you try to make your own.